THE BASKETBALL APP WE’VE BEEN WAITING FOR! Love to play basketball, but the gym is only available on Wednesdays or requires a costly membership . Problem solved. Now you play on your terms. 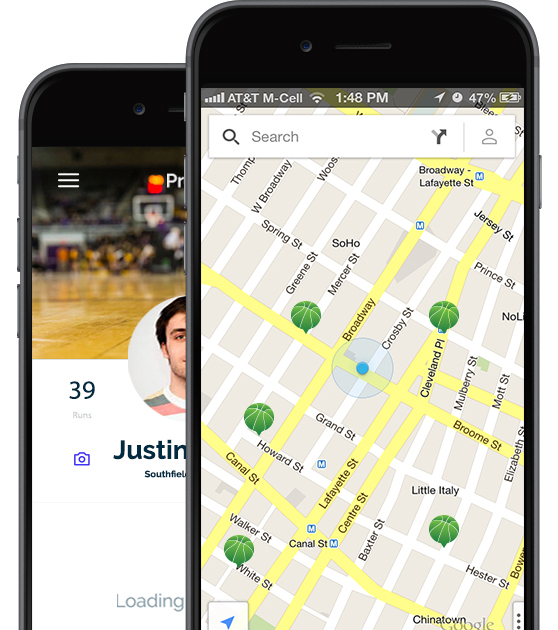 HoopRun is the app designed to revolutionize the process of finding/organizing pickup basketball games. Very often recreational basketball is hard to find outside of memberships and leagues therefore the players usually have difficulty finding places to play on impulse. Hoop Run solves this problem! Gym owners can use the app to set up each one of their runs and allow players to view, confirm and pay for a run through the app as well. The app will show available runs locally, by time or date and whether they are public or private. Each run that is posted will also show the charge for the run ($1 charge service charge included). After Confirming your attendance, your payment will be placed on hold up to 5 minutes prior to start (This allows players to cancel). All payments will then be final. Public runs will be open to anyone that wants to play but only until the number of available spots have been filled. Private runs will only allow certain players to confirm a run if the privacy settings of the owner are met. Conveniently view, select and confirm basketball runs in all available areas. Profiles allow you to create custom settings specifically for you, save your favorite runs, rate new ones and review recent history. Founders are the people who actually schedule the runs. View and edit all runs along with payments and players attending. Find out and get updated about new runs, your favorite places to play and new places in your area instantly. 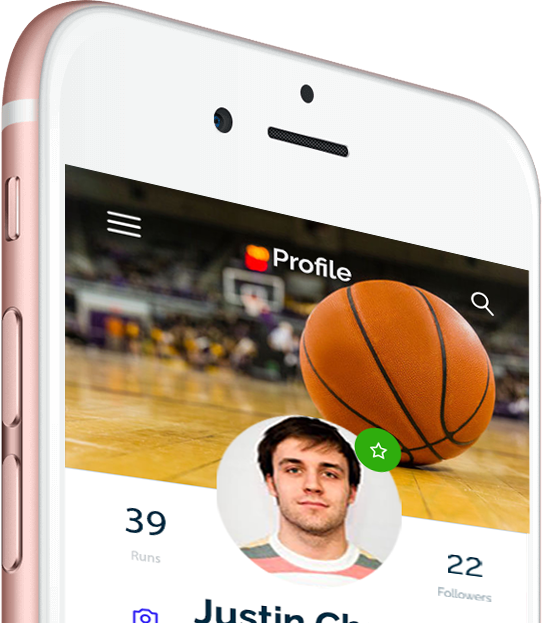 THE BASKETBALL APP WE’VE ALL BEEN WAITING FOR. I'm surprised something like this doesn't exist already... It has been needed. We plan on turning our gym into a center for the neighborhood kids to come. Great App! Man, this app will be a life changer. I know I'd save boatloads of money. Where's the run? I'm trying to hoop today! Founders and players alike can keep track of all run details the second they happen, that way you are never out of the loop. You will be able to do everything associated with a run through our app except actually play…and we’re working on that. All payment processing is directed through the app meaning you no longer have to deal with cash. Players only need to check in and begin playing and founders will be paid before the players even arrive.